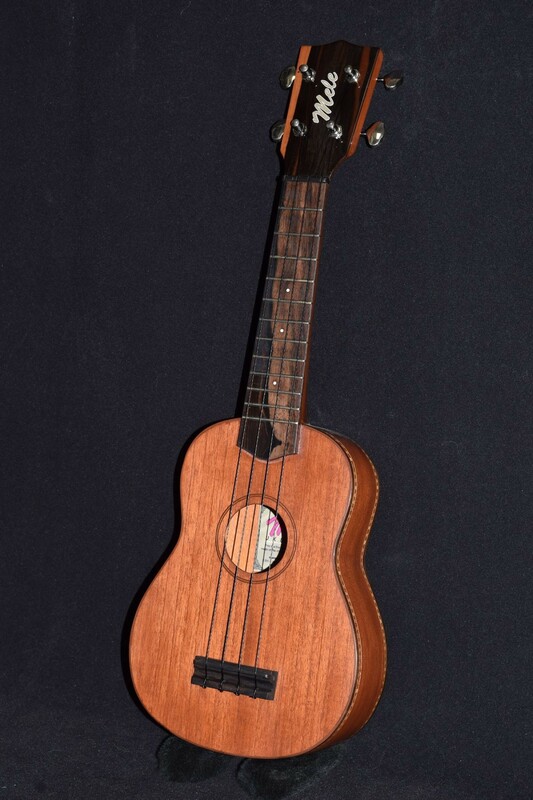 One of the first models we made 20 years ago, and still one of the most popular! 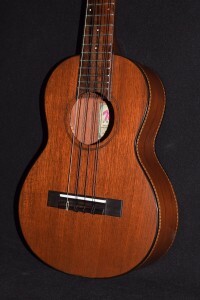 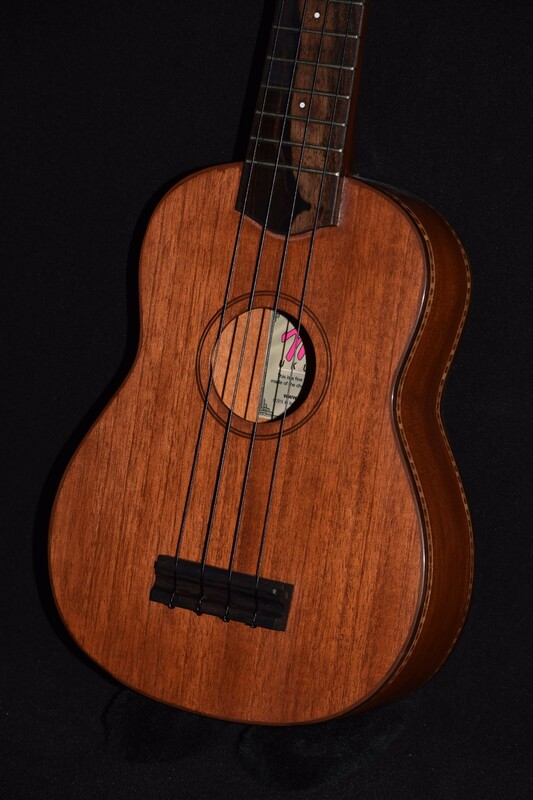 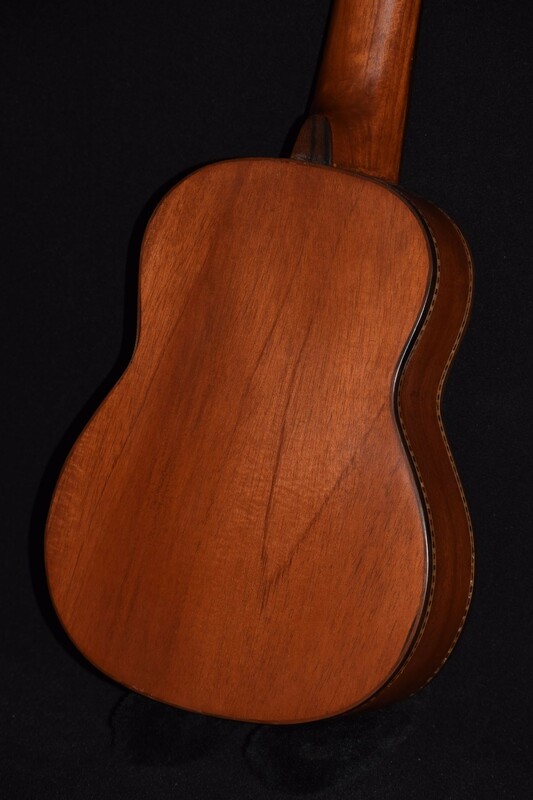 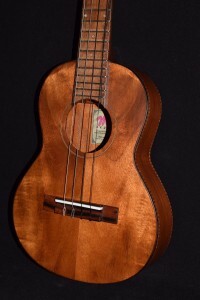 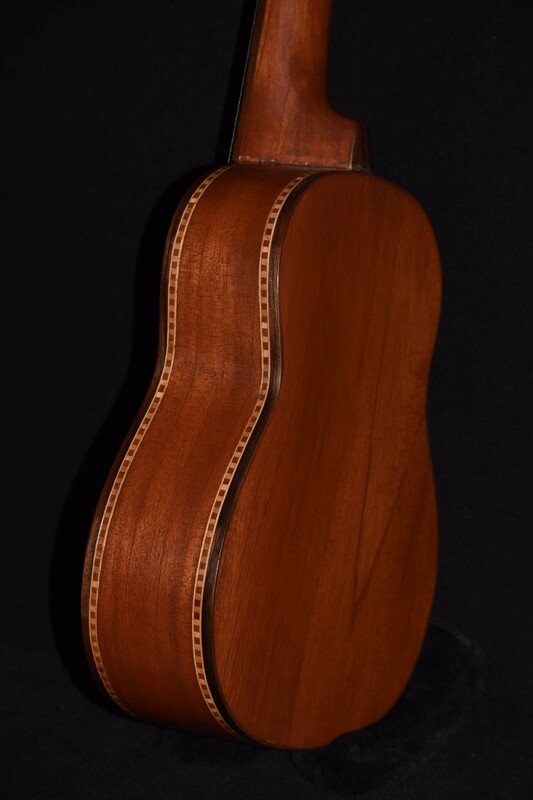 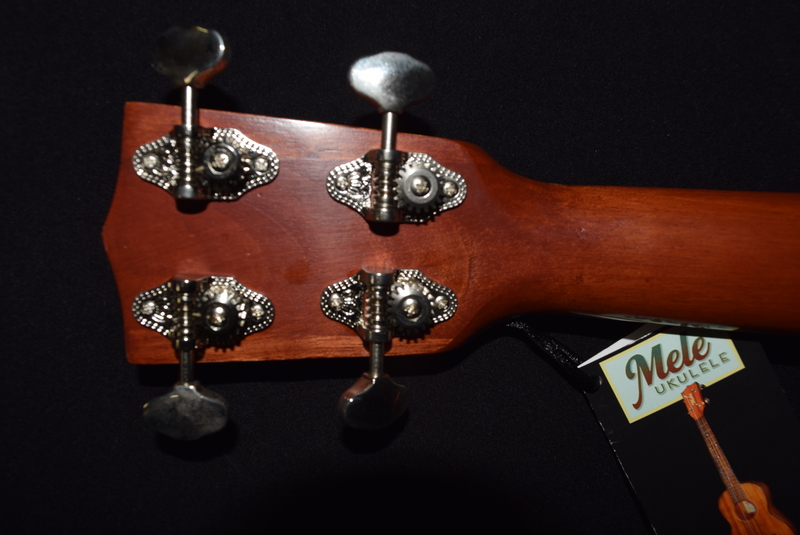 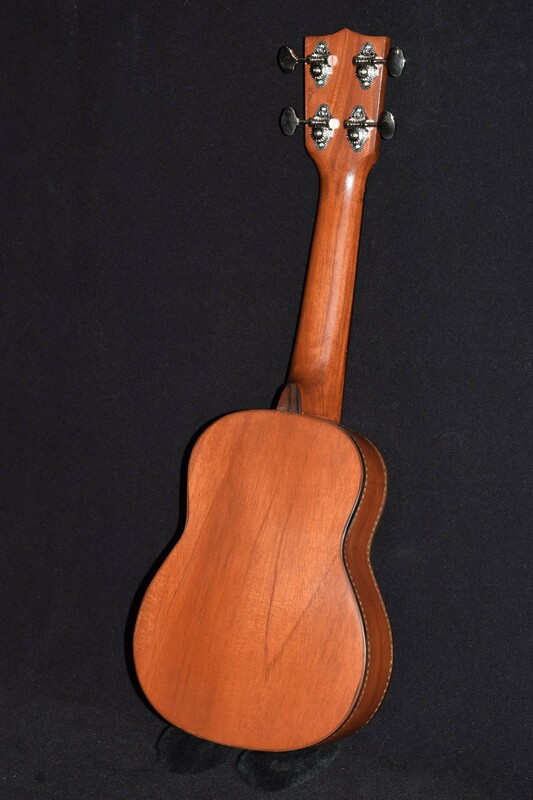 The Mele standard (soprano) ukulele is patterned after the ones made by Martin in the 20s, 30s and 40s, which many regard as the best ukes ever made. 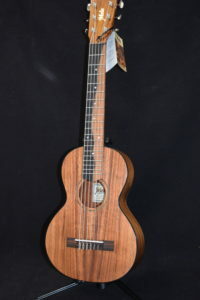 All mahogany (neck and body) with an ebony bridge and fretboard, and built Spanish style for structural integrity and great tone, it’s ideal for anyone from child-size on up. 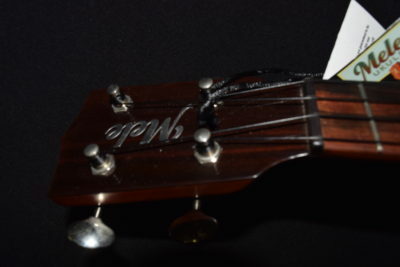 Precision 18 to 1 geared tuners make tuning a snap. 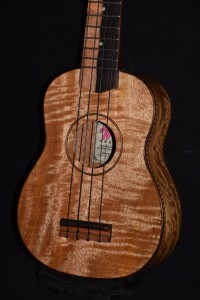 This will make a very fine first, second or third uke for beginner or seasoned professional. 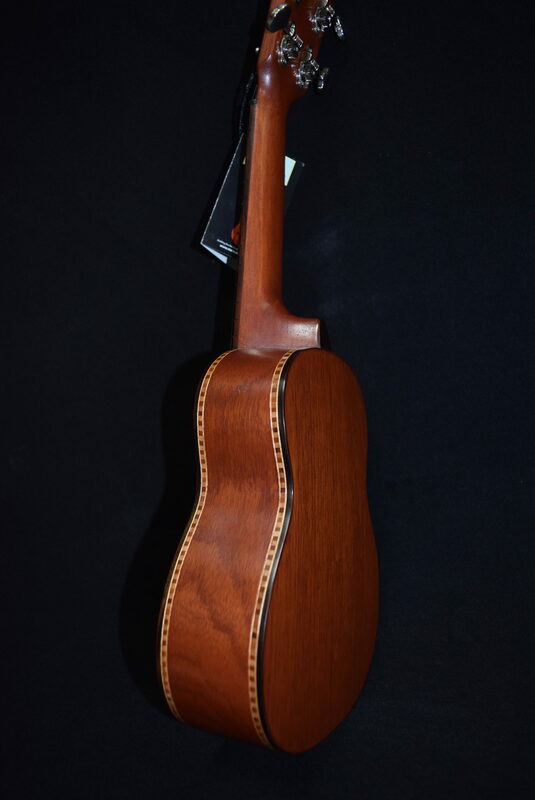 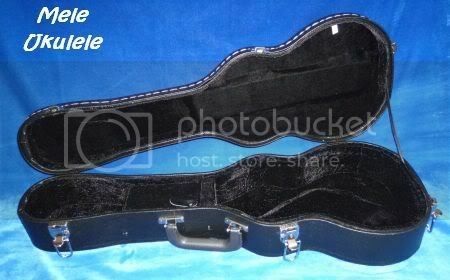 Upgrade to a hardcase ($80 soprano, $90 concert, $100 tenor, $110 baritone/guitarlele), and a humidifier (recommended for dry climates), extra strings, or whatever you like, for the best prices anywhere – call us for details! Or, you can leave a note to us and we’ll send you a separate invoice via PayPal.